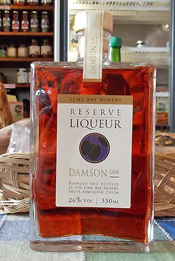 We stock an extensive range of local wine, fruit wines and liqueurs. 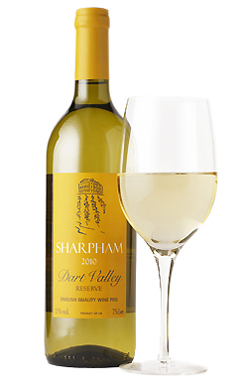 Classic English wines are produced at Sharpham vineyard as a result of a happy marriage of soil, climate and grape variety known as Terroir Many International Awards confirms the winery as one of England's foremost quality wine producers. and only 11 miles from Mackgill's. Grape Variety: 100% Rondo & Pinot Noir. Summer red possesses refreshing ripe fruit flavours, delightfully balanced by a subtle oak finish. Serve at room temeperature or slightly chill on a warm summer's day. Grape Varieties: - Madeleine Angevine, Phoenix & Bacchus. This off-dry and ever popular wine has a light, fresh character achieved by carefully blending the different grape varieties and partially ageing in American oak. Lovely fruit aromas with supple delicate flavours and a just off-dry style, result in a wine ideal for drinking alone or with food. Grape Variety: 100% Madeleine Angevine. This fine dry style exhibits the best qualities of English wine. 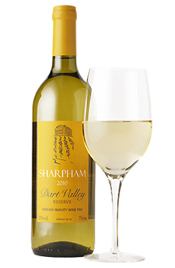 An elegant wine characterized by its pale lemon colour and long refreshing finish. The taste of fresh citrus fruits gives a youthful fresh sensation with good balance and length. This wine makes for ideal early drinking. 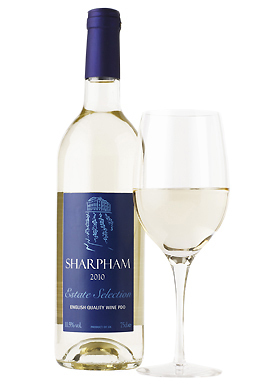 A great aperitif wine and an ideal accompaniment to fish and seafood - VOTED BEST WINE IN DEVON TO GO WITH CRAB! A refreshing Rosé produced from the Dornfelder variety. Cold maceration for twenty-four hours on the skins gives a rich, bright ruby colour together with ripe, summer fruit flavours. This rare wine is soft and fruity and makes perfect summer drinking. One of the few English wines to be fermented in oak barriques, this remarkable wine is a subtle blend of oak and the fruit characteristics of the Madeleine Angeyine grape. These country wines are inspired by the wines traditionally made from hedgerow fruits and flowers. The range includes both lighter, drier wines and more intense, old-fashioned berry-rich varieties. Many of the country wines make delicious spritzers, mixed 50/50 with soda water. A light, fruity gin based liqueur. Serve with ice for a lovely aperitif. 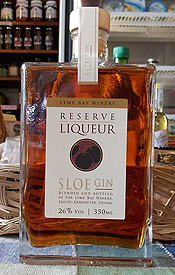 A traditional Sloe Gin. Full flavoured, succulent and smooth. Awarded Silver at the 'Taste of the West Awards' 2012. Cherry wine is a smooth full flavoured sweet wine with a real cherry aroma and a hint of almond. Serve at cool room temperature. A lovely dessert wine. Cowslip wine is a delicate off dry wine with subtle floral and honey undertones. Old fashioned and delicious. Great served chilled as an aperitif or with seafood dishes, chicken dishes and summer salads. 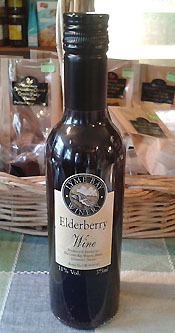 Elderberry wine is a robust off dry wine red wine, rich in colour and flavour - a superb after dinner drink with full flavoured hard cheese or alongside red meats and casseroles. Serve at room temperature. Elderflower wine is an old fashioned off dry wine with a floral bouquet. 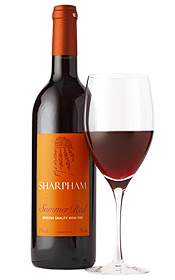 A perfect picnic or lunchtime wine or as a fresh aperitif or to accompany Indian and Chinese dishes. Serve chilled. Awarded Silver at 'The Taste of The West Awards 2010'. Ginger wine is a classic, sweet, heart- warming wine bursting with smooth ginger and carrying a kick. A great dessert wine. Serve at cool room temperature. Awarded Two-star Gold at 'Great Taste Awards' 2012. Gooseberry is a light off dry wine with a generously ripe gooseberry character. A great aperitif, or as a companion to strong flavoured fish such as mackerel or spicy Indian or Chinese food. Serve chilled. Nettle wine is a dry, light, crisp wine with the summery character of nettle and hints of melon and grapefruit. Old fashioned and delicious. Great served chilled as an aperitif or with seafood, chicken and summer salads. Quince wine is a deliciously delicate medium dry wine with complex aromas of pears, lemon and honey. Made from the tart quince fruit that dates back even further than the apple. A great dessert wine or accompaniment to soft rich cheese. Serve chilled. Sloe wine is a medium, succulent and smooth traditional wine. This mellow wine is superb by itself or with red meats, casseroles or cheese. Serve at room temperature. Strawberry wine is a medium well balanced wine with a delicate strawberry aroma. A traditional summer favourite best served chilled. Serve with soda and mint for a longer drink. Many other products available for collection only: Salcombe Dairy Ice Cream, Butter, Rapeseed Oil, Yoghurt and many more. Call 01548 830860 to order.